Literacy is a top focus for the Jasper County School District. In efforts to improve literacy for students at the elementary level, Elementary Reading Coaches Chandra Brooks and Dr. Marsha White recently hosted one of two Regional Reading Coaches Professional Learning Opportunity (PLO). The session will provide coaches with effective methods to improve their support to teachers. 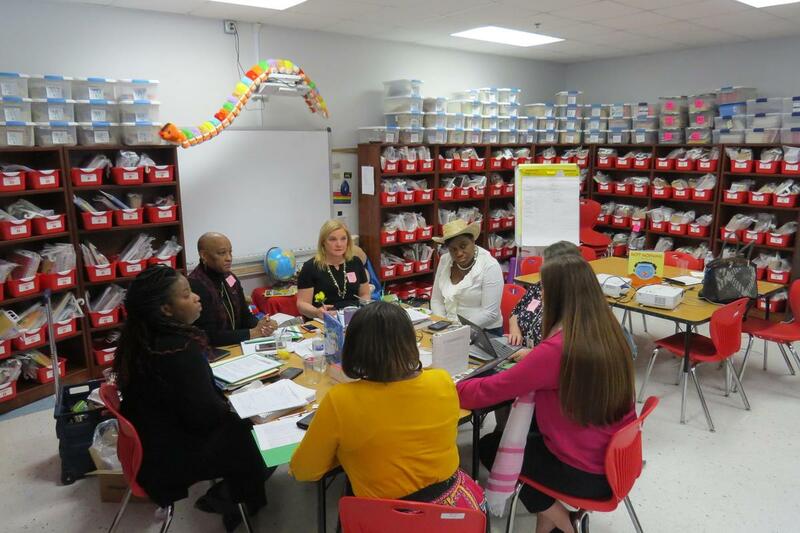 South Carolina Department of Education Literacy Specialists Noel Reasoner and Rikki Benjamin along with four Reading Coaches from the Lowcountry Region participated in the PLO. 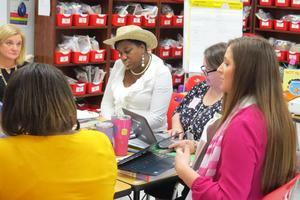 Within the first session, coaches participated in classroom visits, mock coaching conversations, and shared effective Literacy Best Practices. The on-going collaboration between region coaches, administrators and state-appointed literacy specialists provide an opportunity for coaches to increase their knowledge base in best practices in reading and writing instruction, intervention, and instructional reading and writing strategies. Literacy-endorsed reading coaches work directly with teachers to bring about improvements in the classrooms that will impact student achievement and increase literacy. Coaches model effective instructional strategies for teachers by working with students in groups or individually. The Reading PLO is beneficial for teachers and students throughout all participating districts. The Lowcountry Cohort includes Allendale, Barnwell, Beaufort, Colleton, Charters, Hampton, and Jasper County.